When Nirvana took the stage of the Sony Music Studios in New York City on Nov. 18, 1993, their third (and, what would turn out to be, final) studio album, ‘In Utero,’ was two months old. 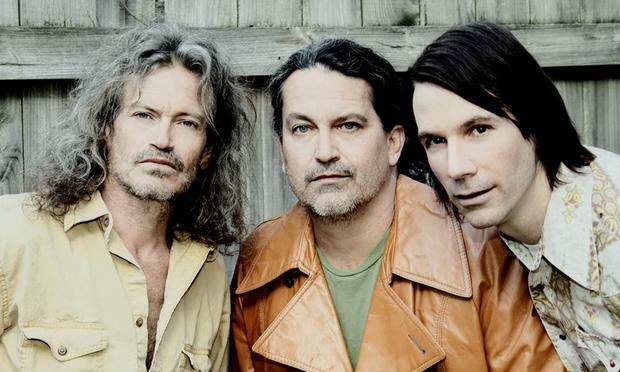 After the surprise success of its second album, ‘Nevermind,’ in 1991, and seemingly changing the face of popular music overnight, the band, if you believe the stories, wrestled with its new fame. They were punks, after all, and anything that even smelled a little like the mainstream was to be treated with mistrust. And so it was with Nirvana, especially frontman Kurt Cobain, who deflated their massive popularity every opportunity he got. So when they began work on ‘Nevermind”s follow-up in February 1993, the idea was to record fast, loud, hard and with no rules. And, apparently, no producer either, since Steve Albini, the man who recorded the album, did little to wipe away the music’s abrasiveness. 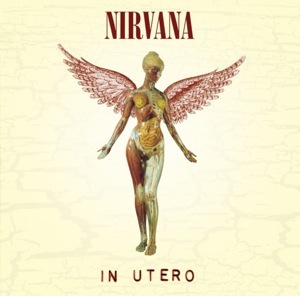 After some back and forth among band and record company and Albini (and also producer Scott Litt, who was brought in to soften some of those rough edges), ‘In Utero’ was released on Sept. 13 and, not so surprisingly, debuted at No. 1. While making the promotional rounds for the record, MTV proposed filming the group for its popular ‘Unplugged’ series. After much back and forth (again), Nirvana agreed to sit down, strip down and play some songs. But Nirvana had no intentions of playing MTV’s game. They picked a setlist short on the actual songs that made them huge — no ‘Smells Like Teen Spirit,’ no ‘Heart-Shaped Box.’ They invited people onstage to jam with them (namely, the Meat Puppets) that were far from the alt-rock royalty the network was hoping for. And Cobain, even though he was playing an acoustic guitar, wasn’t technically unplugged: he ran his instrument through an amp disguised onstage. And unlike most other bands that sat down for ‘Unplugged’ sessions, Nirvana performed their 14-song set in one take. The result was a stark, scary and scar-revealing portrait of an artist verging on collapse. You can hear it in the primal shakiness of Cobain’s voice, a haunted instrument of torture and unease (he reportedly was going through drug withdrawal at the time). It was a pivotal moment, both for the group and in rock history. During their nearly hour-long performance, Nirvana played only a handful of their own songs; ‘Come As You Are’ was the most popular. Instead, they focused on covers of cuts by their onstage pals the Meat Puppets (three songs), Lead Belly (a harrowing take of ‘Where Did You Sleep Last Night’ that ended the show) and Scottish rockers the Vaselines, plus a stripped-down version of David Bowie‘s 1970 track ‘The Man Who Sold the World,’ which found a new audience of fans following Nirvana’s cover. The episode aired on Dec. 16, about a month after it was recorded. Within six months, Cobain was dead. In the weeks after his April 5, 1994 suicide, MTV showed Nirvana’s ‘Unplugged’ almost nonstop. The record company, hoping to cash in on Cobain’s death, enlisted surviving members Dave Grohl and Krist Novoselic to assemble a live album from the band’s tapes. They weren’t emotionally prepared to sift through their archives, so instead the ‘Unplugged’ program was scheduled for release. It came out on Nov. 1 and immediately shot to No. 1. ‘About a Girl’ and ‘The Man Who Sold the World’ received extensive airplay. And the somber, cello-assisted version of ‘In Utero”s ‘All Apologies’ that served as ‘MTV Unplugged in New York”s penultimate track became a fitting requiem for Cobain. Two decades later, the raw, savage music sounds like it’s peeling away at layers of wounds, even without its tragic history in hindsight. No other ‘Unplugged’ outing comes close to the sheer nakedness that Cobain exhibits here. He’s ravaged, torn and frayed; this isn’t a celebratory recording by any means. But it is one of the most primal and cathartic records ever made, even as it cuts into its heart of darkness.